Johann Christoph Pepusch, VI Concerts à 2 Flûtes a Bec, 2 Flûtes Traversieres Haubois ou Violons & Basse Continue. Op. 8 (Jeanne Roger, Amsterdam c. 1717). The two upper parts of these six concertos are to be played either with two recorders or two flutes. 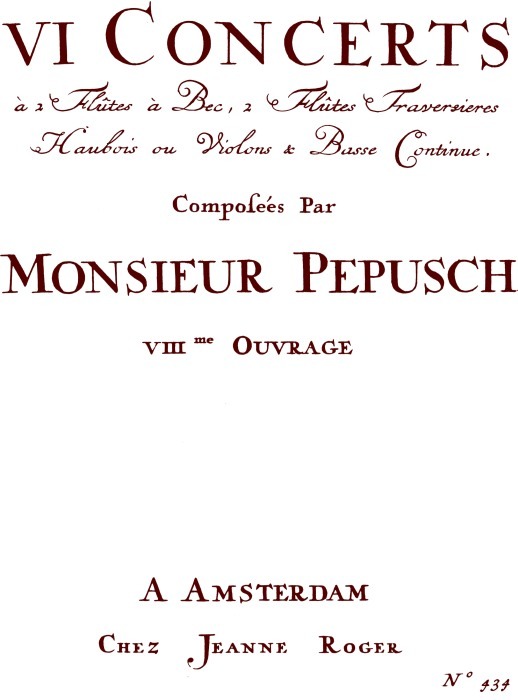 At Pepusch's time the flutist used to play both instruments, as well as the oboe, and he would choose the more appropriate flute according to the range of the part and the composer's indications.